As an employer you have an enormous responsibility in ensuring the electrical safety of your workplace. Firstly you have the legal responsibility as laid out in the Occupational Health and Safety Act 2000 as well as the moral responsibility of ensuring that all your employees return home after their shift. Electricity is the most useful as well as one of the most dangerous elements of any workplace. 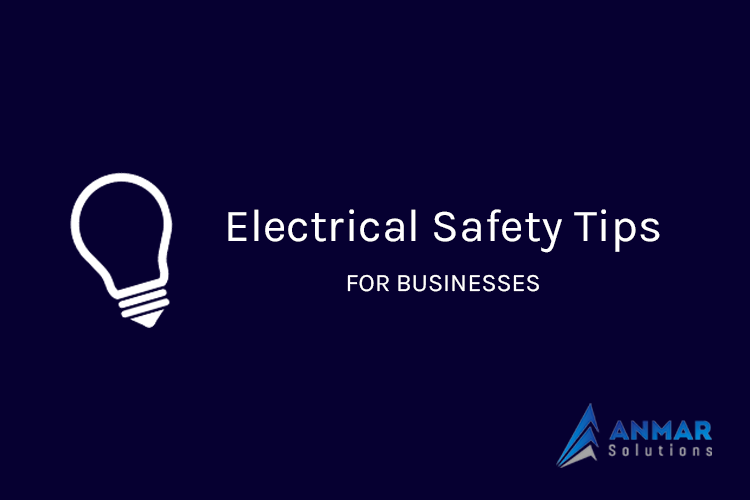 You need to pay a lot of attention to electrical safety or you risk creating an unsafe space for your employees. You should never start a task until you have a plan and every good plan will have a section devoted to risk mitigation. You need to examine every aspect of the task and ensure that you’ve identified all the possible risks including electric shock and arc flash hazards, water hazards and faulty equipment. Your risk mitigation section should detail how you will avoid these hazards, such as the use of personal protective equipment, separating equipment from energy sources, establishing ‘no go’ zones and removing water hazards. Even if you aren’t an expert in electrical safety you should always be striving to become one. You set the example when it comes to safety so make sure you are aware of the risks that electricity poses as well as the ways you can minimise these risks. Electric shocks can be fatal and electric shocks often happen when people try to work on or repair a piece of energised equipment. Unless you’re an expert you should always disconnect the power from a piece of equipment before you move it, dismantle it or clean it. It’s also important that you don’t start to work on the equipment until you are absolutely sure it has been de-energised. Electrical hazards are everywhere. There are cables running along the ground, up walls and there are power lines overhead. If you’re working at a height you need to ensure that the ladder or lifting equipment isn’t coming into contact with uninsulated power chords. You also need to make sure that you aren’t conducting any work on the ground or near the wall where there are live, uninsulated power chords. Make sure all employees are fitted out with PPE and insulated tools in any areas where there are possible electrical hazards. Frequent maintenance is a good way to minimise risks. That means looking after flexible chords to ensure they haven’t frayed and making sure that sockets aren’t hanging out of walls and exposing wires. It also means looking after equipment by making sure it isn’t thrown around or stored improperly. The better condition your electrical appliances are in a physical sense the better condition they will be in when it comes to electrical safety. 7. If You Don’t Know, Ask! If you’re unfamiliar with electrical safety or just don’t have time to devote the attention to it that it deserves you have to hire someone. Trying to improve your margins by doing everything yourself is no excuse to jeopardise the safety of your worksite so hire a site manager with enough knowledge of safe electrical practices and make every day a safe one for your employees. This is perhaps the most important part of keeping your workplace safe. The problem with electrical safety is that hazards can seemingly come from nowhere. Tiny problems in equipment or wiring can imperceptibly worsen over time and all of a sudden disaster strikes. Testing and tagging is the best way you can avoid this type of problem. Testing and tagging allows qualified technicians to check all of your electrical equipment and ensure it is up to standard. No matter how much maintenance, checking and risk mitigation you do you can never guarantee the electrical safety of your workplace until all electrical equipment has been tested and tagged. If you’d like more information or would like a free quote please contact us.